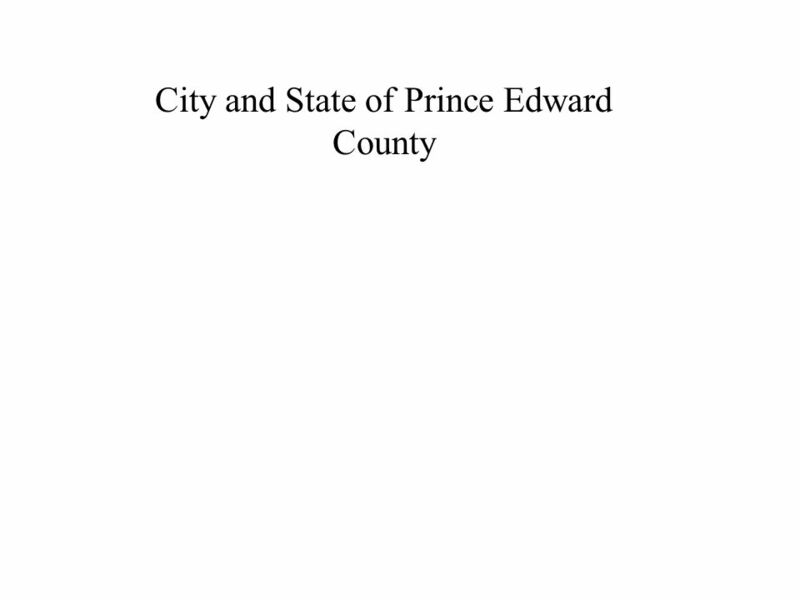 SFSUORA NGE BUR G NVRWOMEN IN THE MOVEM ENT WHATS IN A NAME SNCCPRINCE EDWARD COUNTY Historical MOMENT S 23456789 1011121314151617 1819202122232425 2627282930313233. 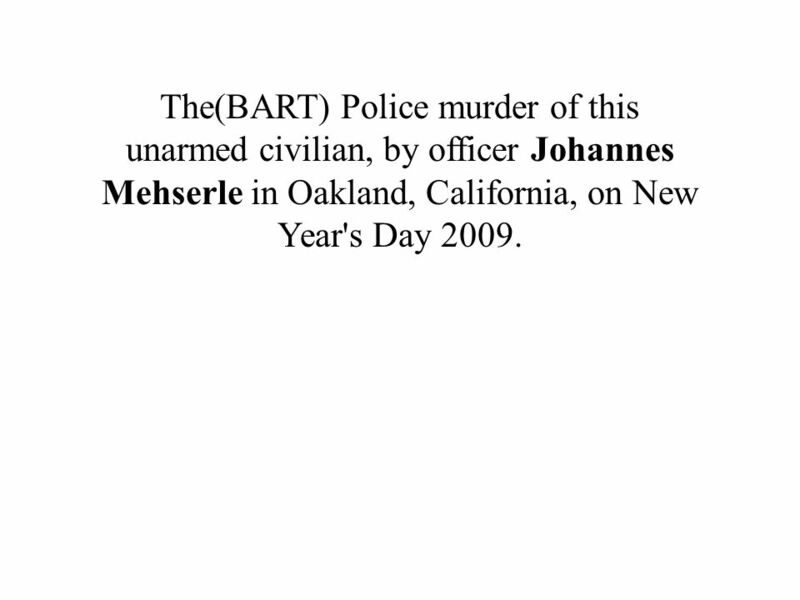 17 The(BART) Police murder of this unarmed civilian, by officer Johannes Mehserle in Oakland, California, on New Year's Day 2009. 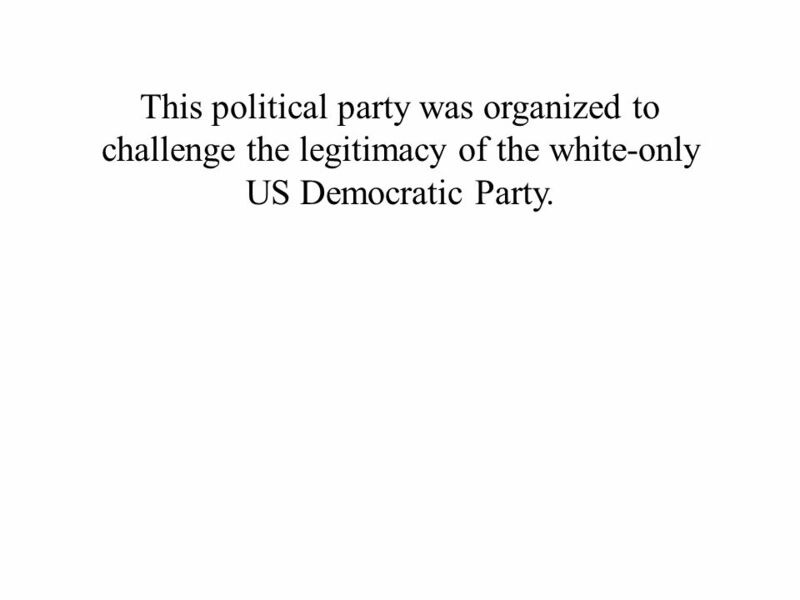 25 This political party was organized to challenge the legitimacy of the white-only US Democratic Party. 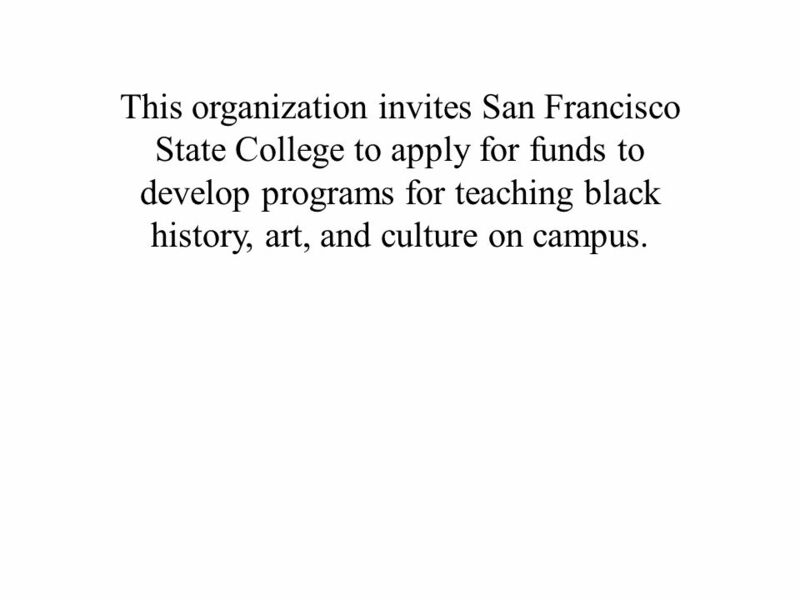 26 This organization invites San Francisco State College to apply for funds to develop programs for teaching black history, art, and culture on campus. 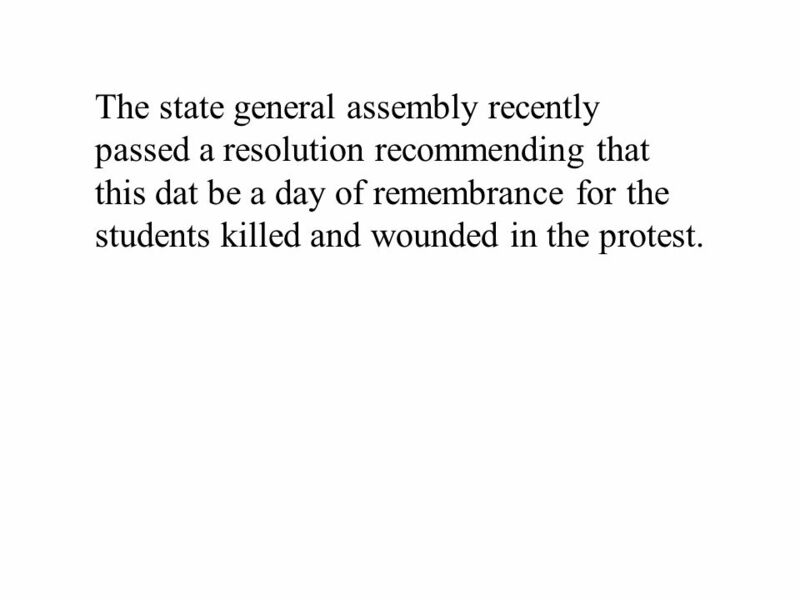 35 The state general assembly recently passed a resolution recommending that this dat be a day of remembrance for the students killed and wounded in the protest. 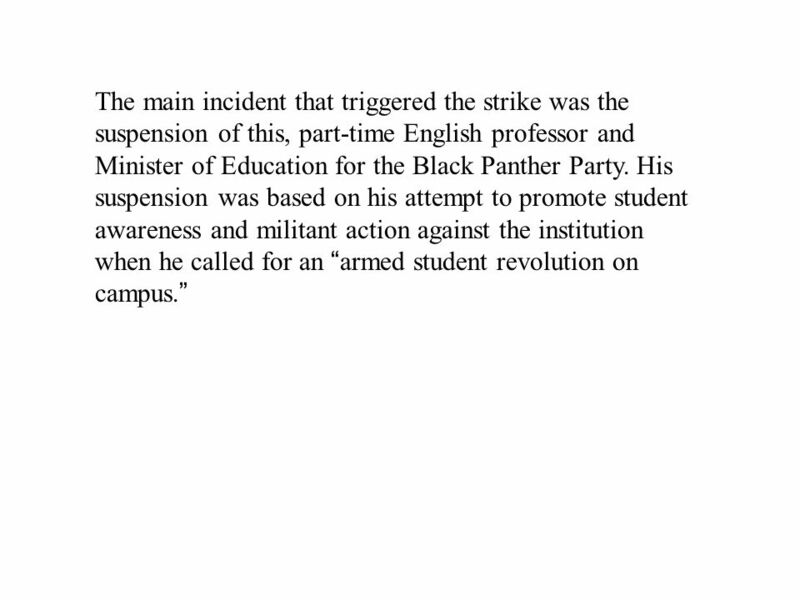 42 The main incident that triggered the strike was the suspension of this, part-time English professor and Minister of Education for the Black Panther Party. 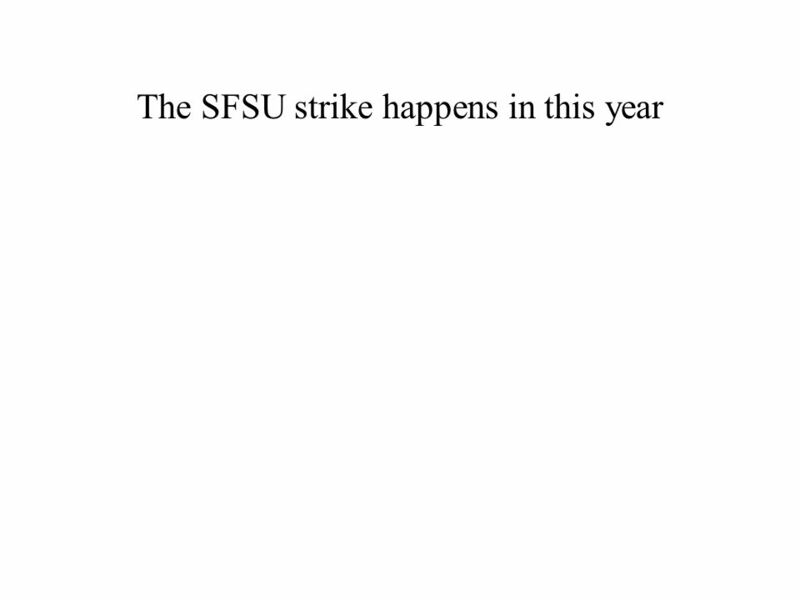 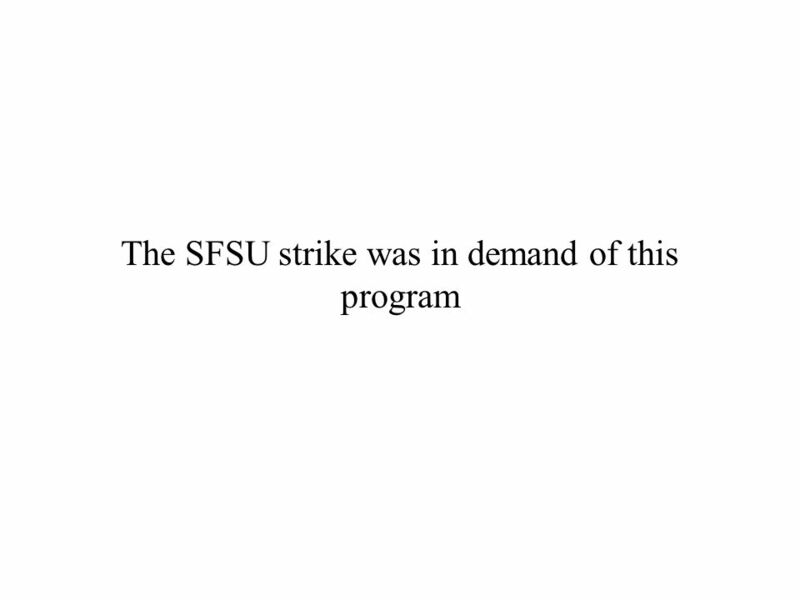 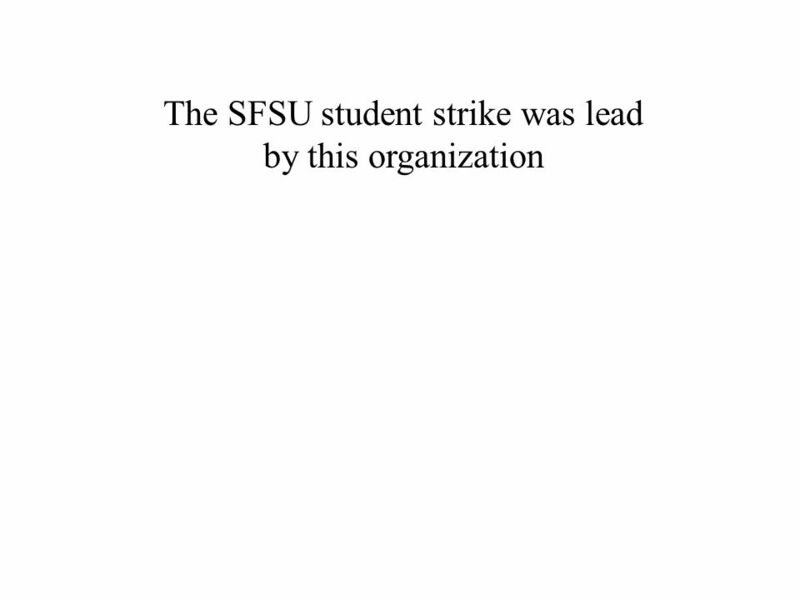 His suspension was based on his attempt to promote student awareness and militant action against the institution when he called for an armed student revolution on campus. 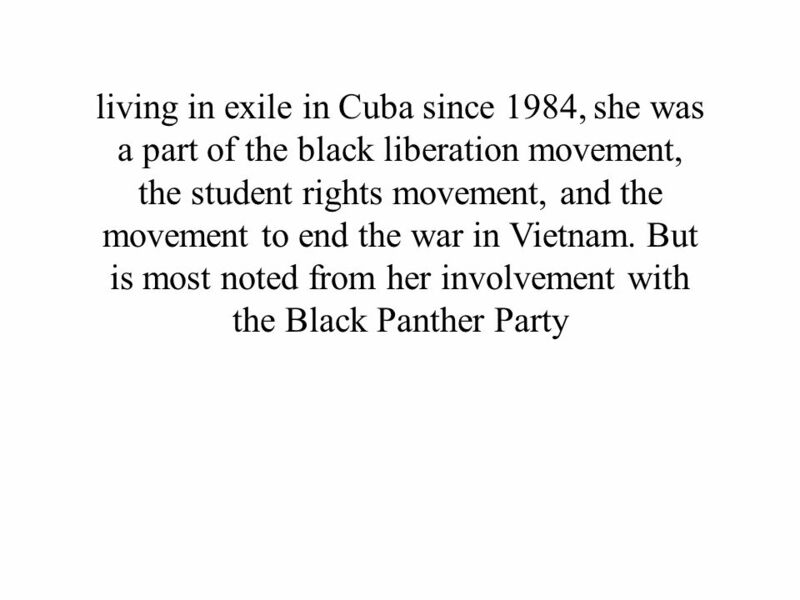 45 On January 25, 1972, she announced her candidacy for president. 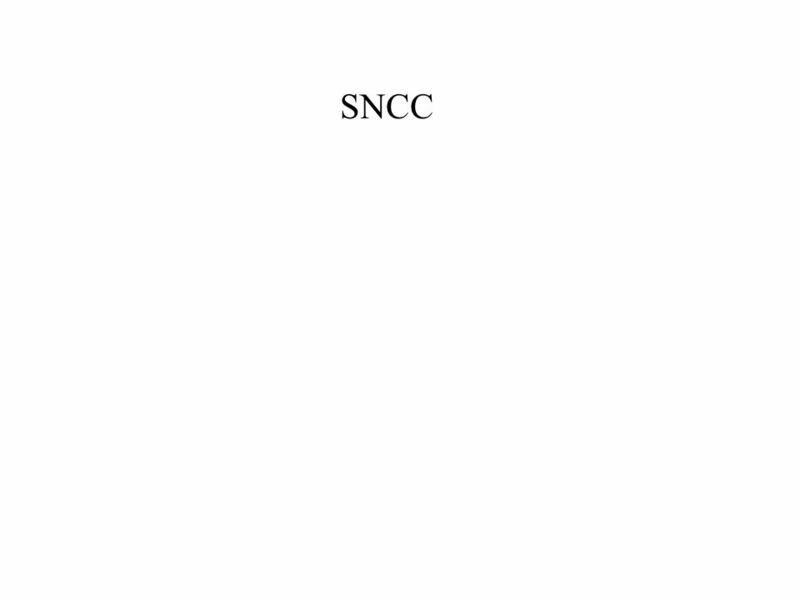 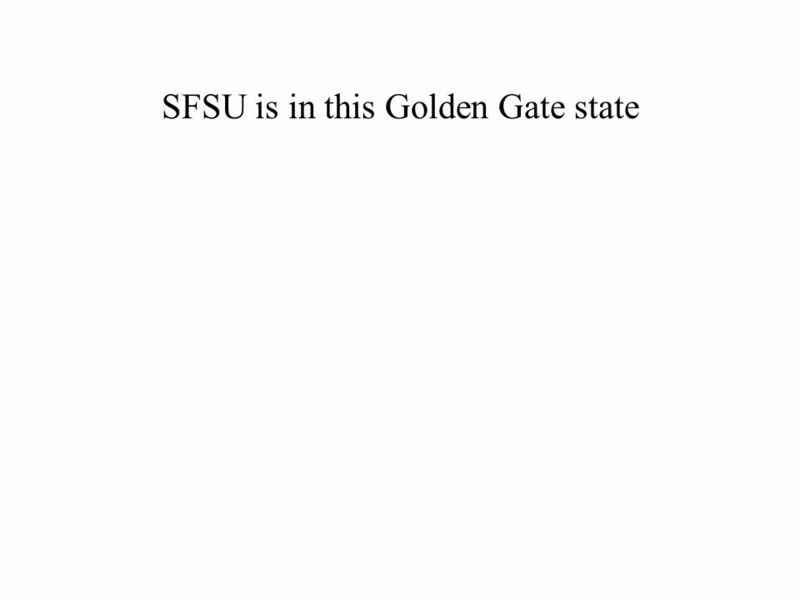 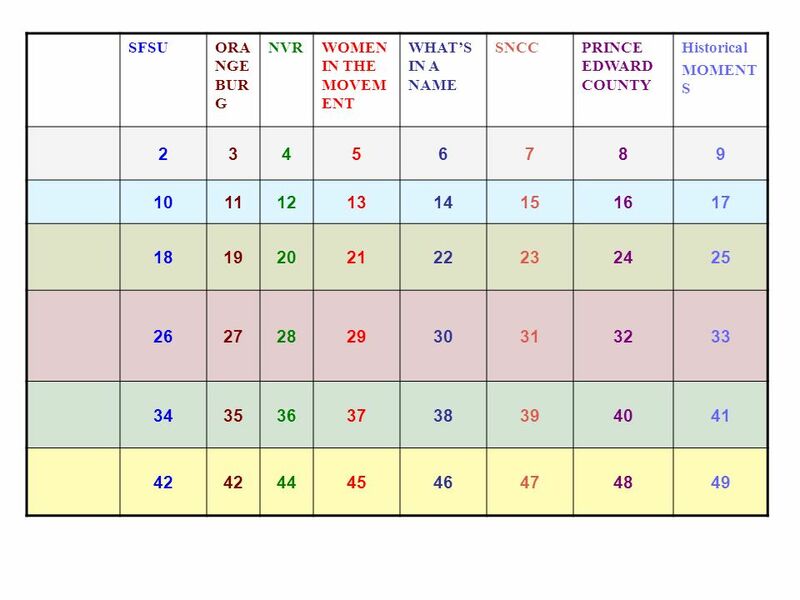 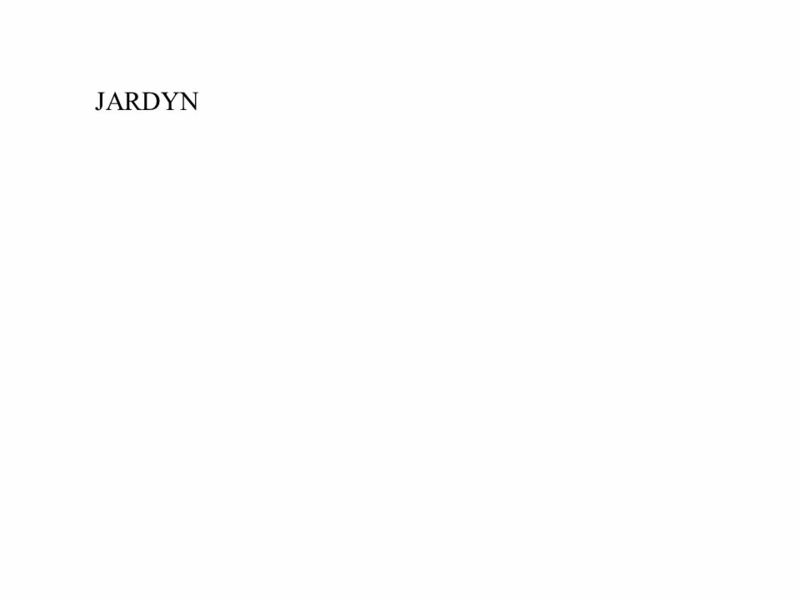 Download ppt "SFSUORA NGE BUR G NVRWOMEN IN THE MOVEM ENT WHATS IN A NAME SNCCPRINCE EDWARD COUNTY Historical MOMENT S 23456789 1011121314151617 1819202122232425 2627282930313233." 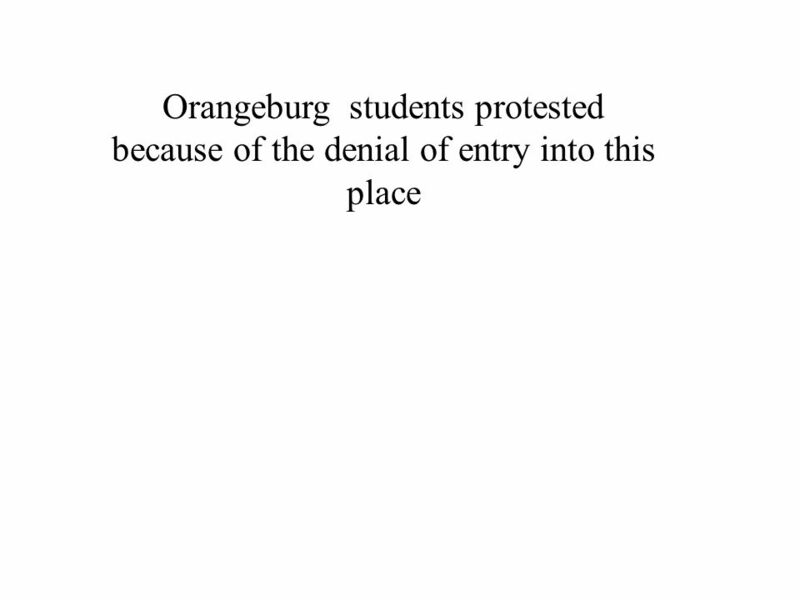 Triumphs of a Crusade Ch 29 Sect 2 Pg 916. 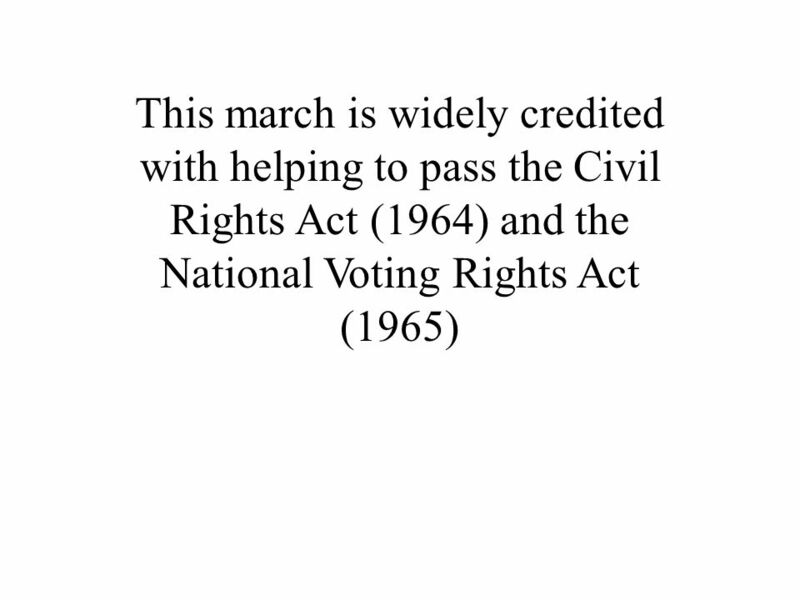 AGENDA History Log Standard Bullets 8.2 Notes Key Terms History Log: If you were a teen in the 1960s would you have joined the Civil Rights movement? 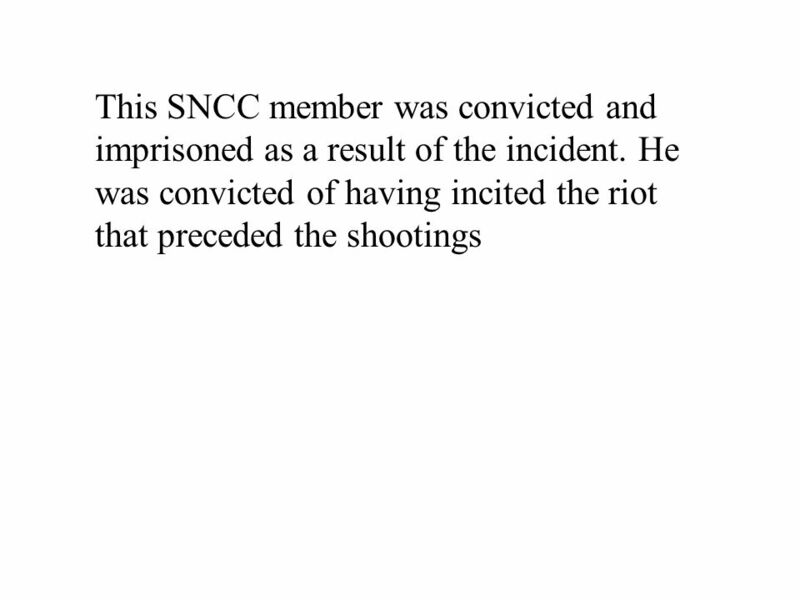 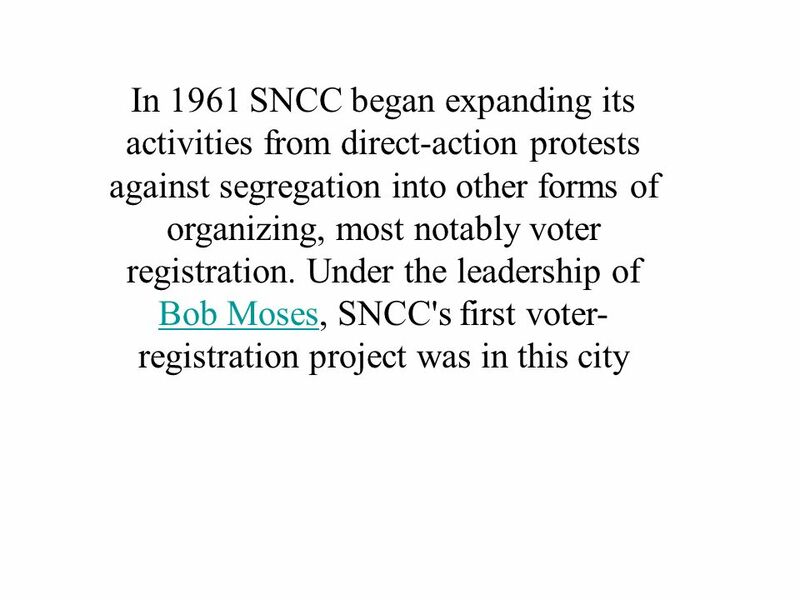 SCLC Founded by MLK - preached non violence. 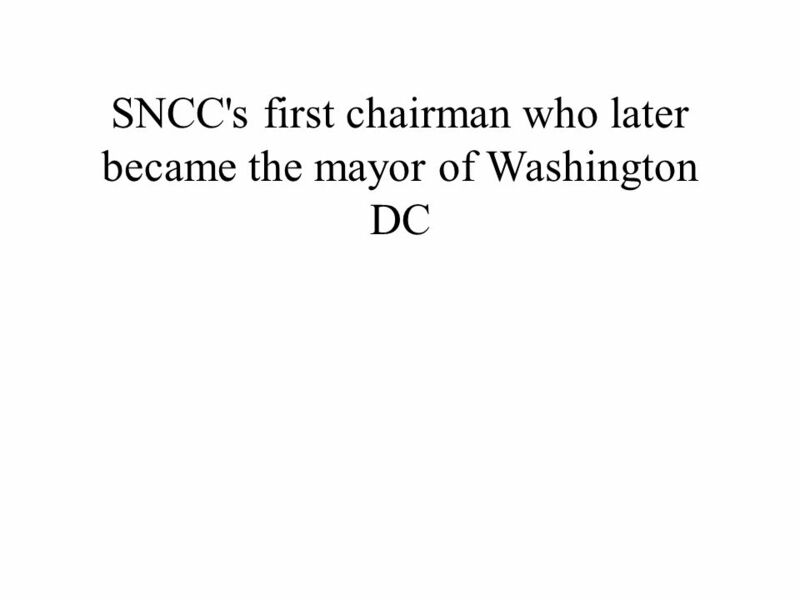 Bell Quiz (pgs. 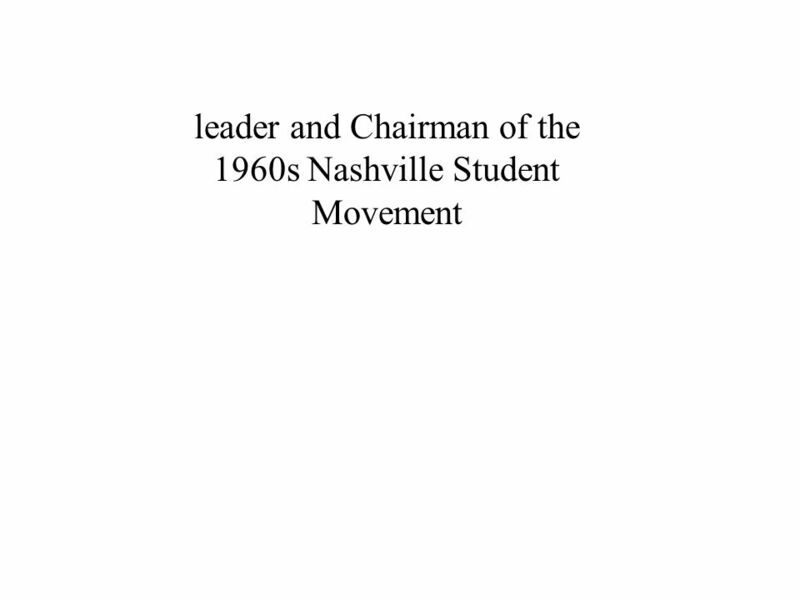 710 – 716) 1) In what city was the first freedom riders bus attacked? 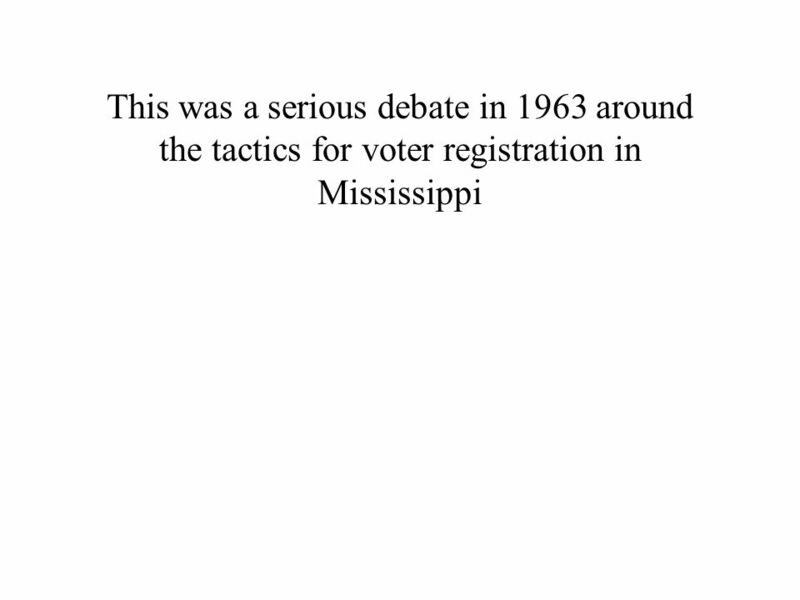 2) What year was James Meredith enrolled in Ole Miss University? 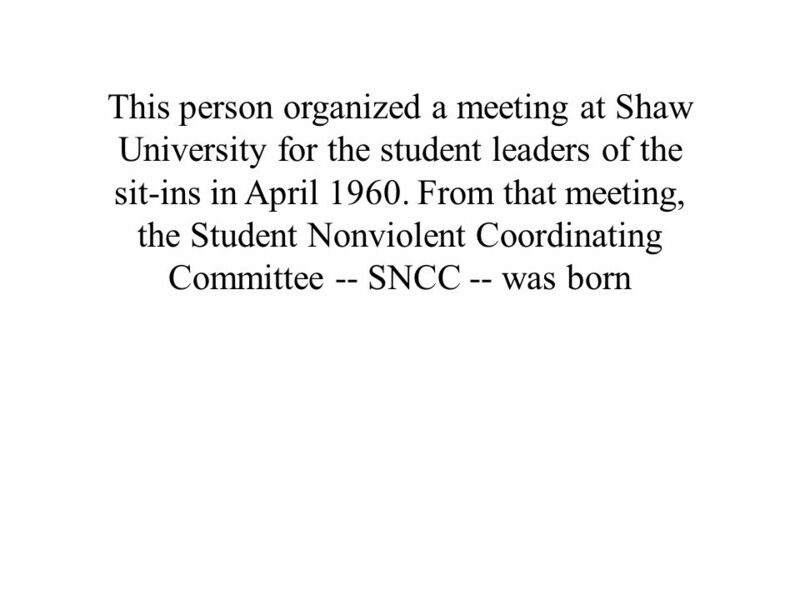 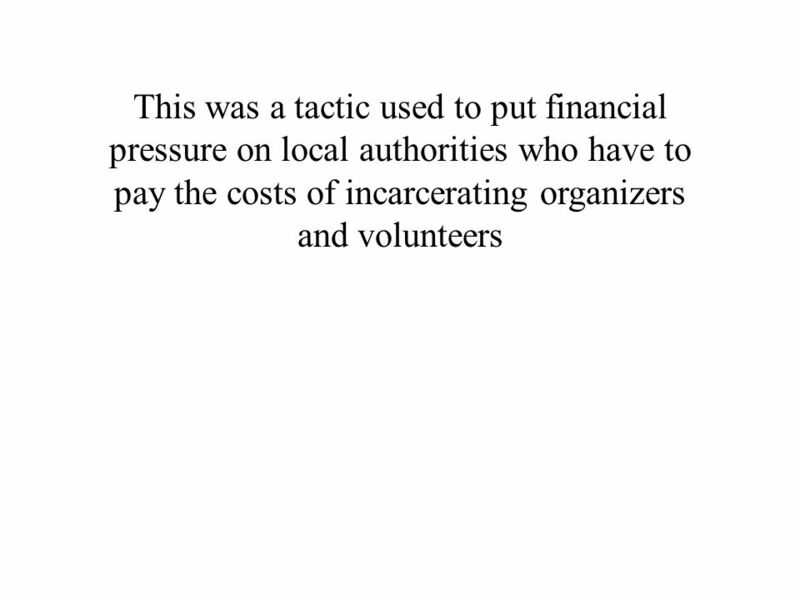 Students Nonviolent Coordinating Committee By: Heather Britt. 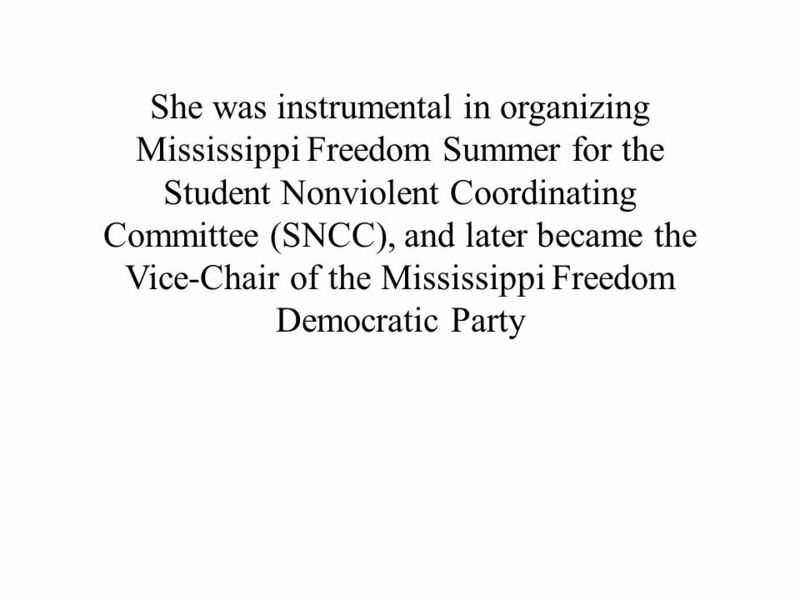 SCLC leader and planner of the Montgomery Bus Boycott. 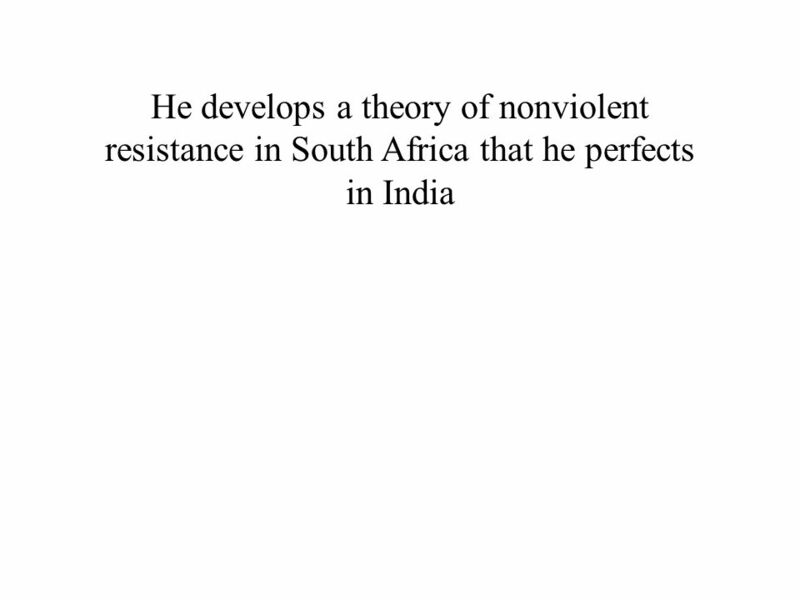 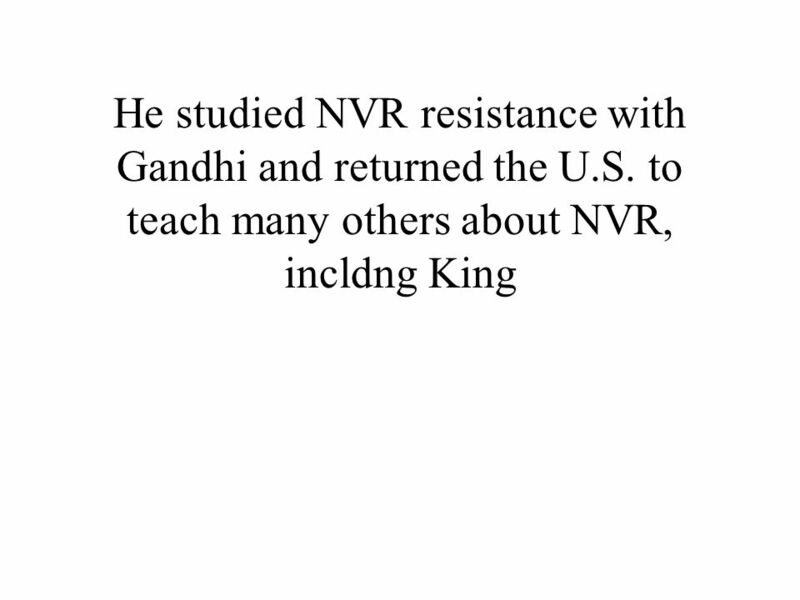 Jeopardy Important People Nonviolent Resistance Role of the Government Radical Change Success and Failure Q $100 Q $200 Q $300 Q $400 Q $500 Q $100 Q. 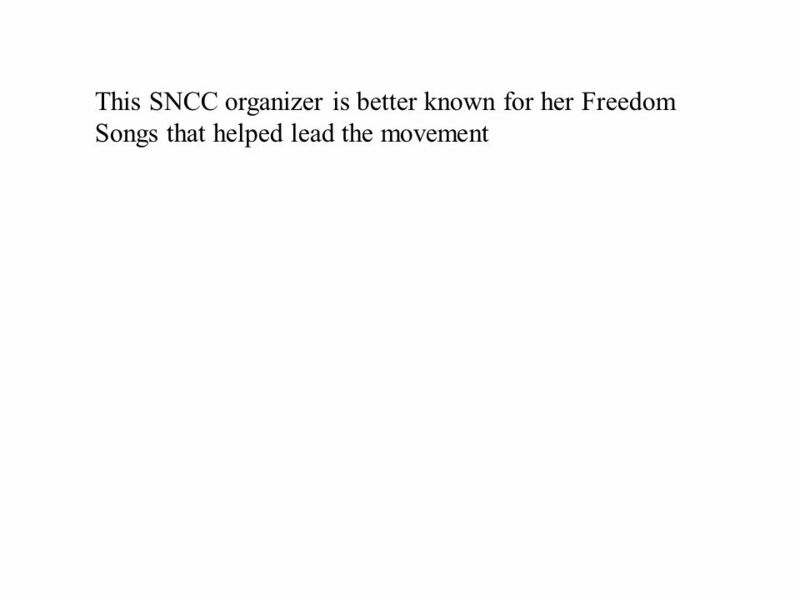  Go to watch these 3 videos, and answer the questions on your organizer. 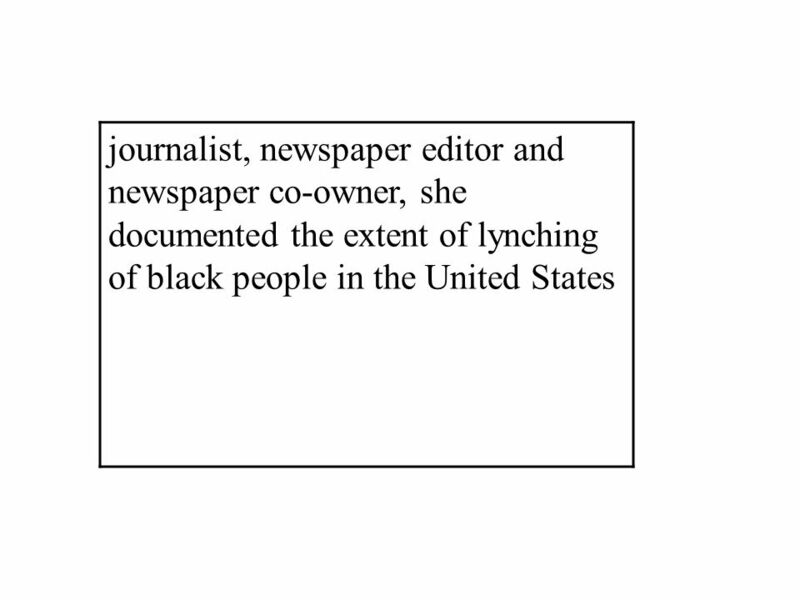 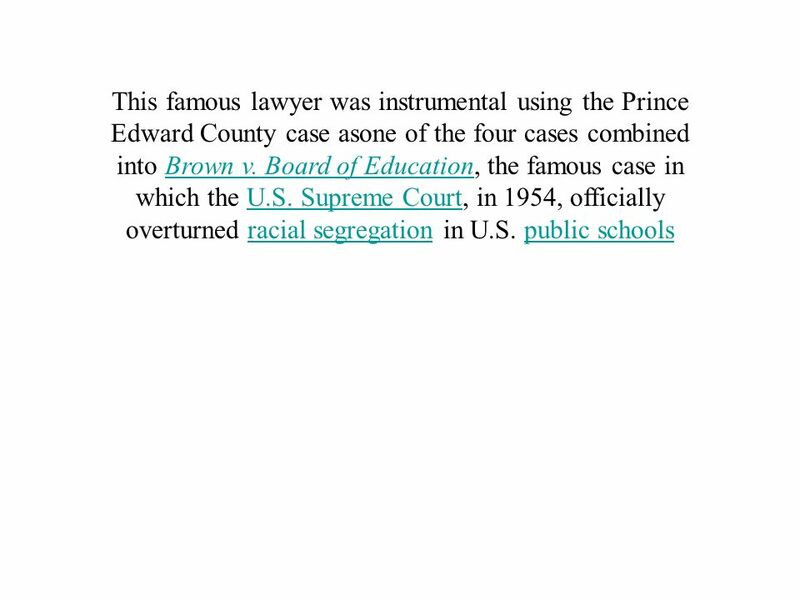 › Brown v. Board of Education of Topeka, Kansas. 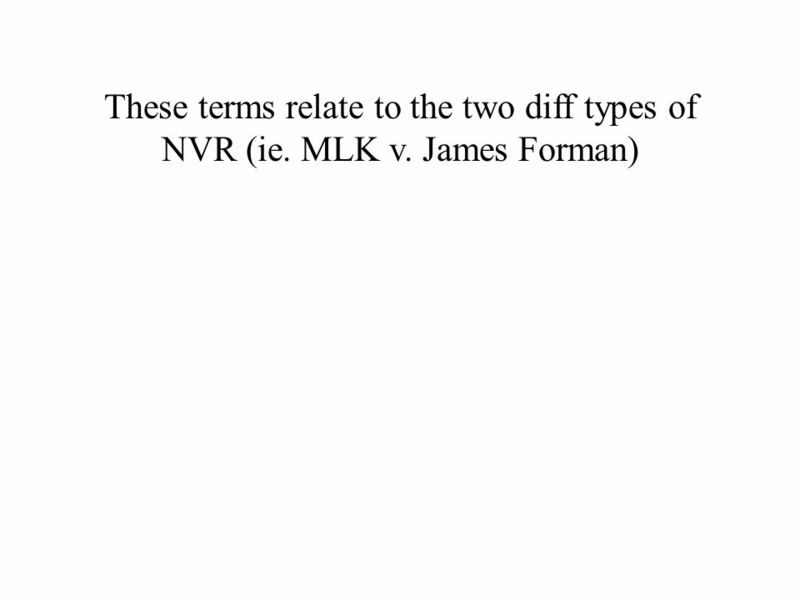 Civil Rights Review. 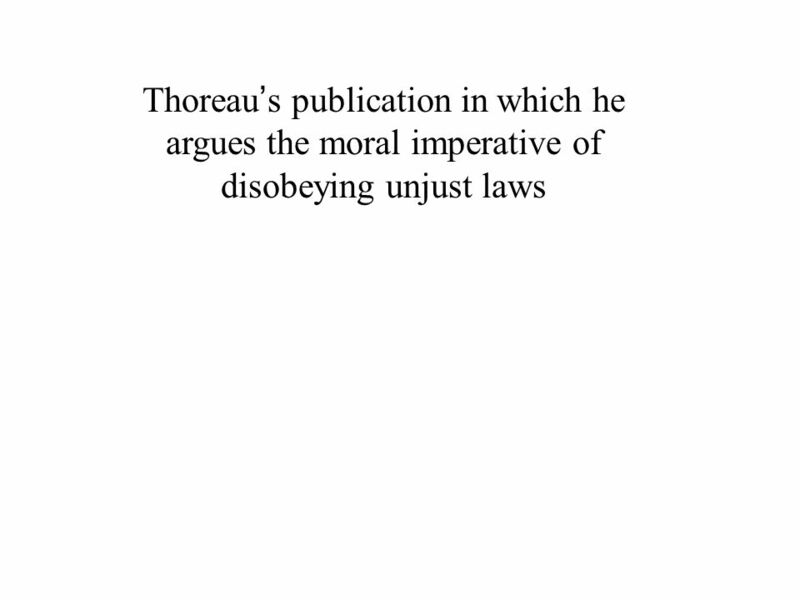 What Supreme court case declared “separate is inherently unequal”? 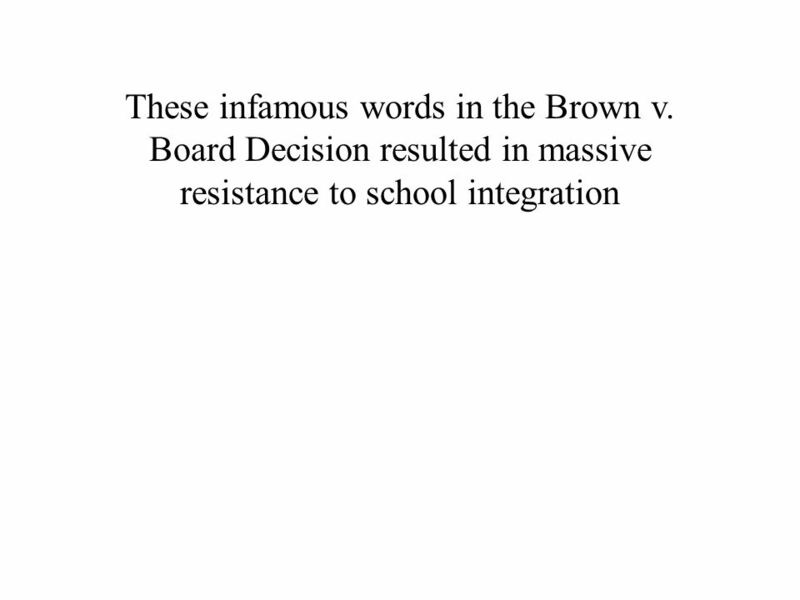 Brown v. Board of Ed. 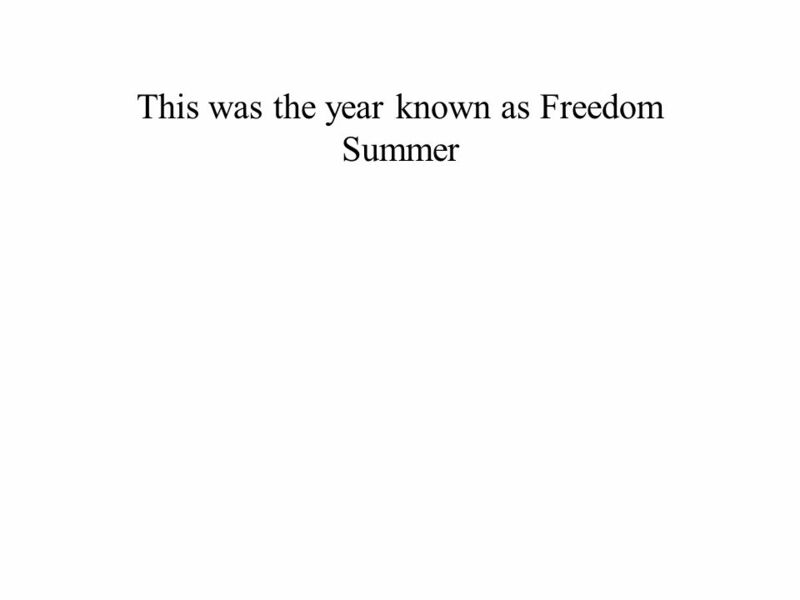 Objectives Explain the significance of Freedom Summer, the march on Selma, and why violence erupted in some American cities in the 1960s. 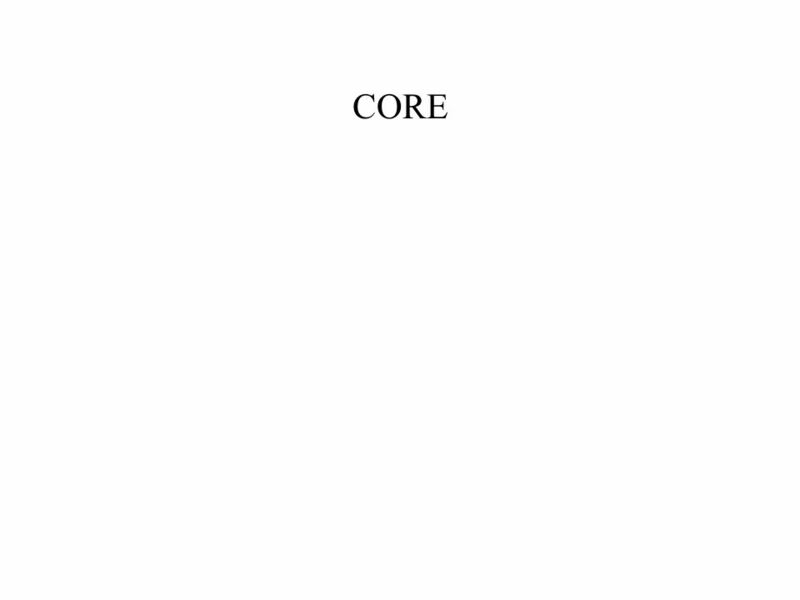 Compare the goals. 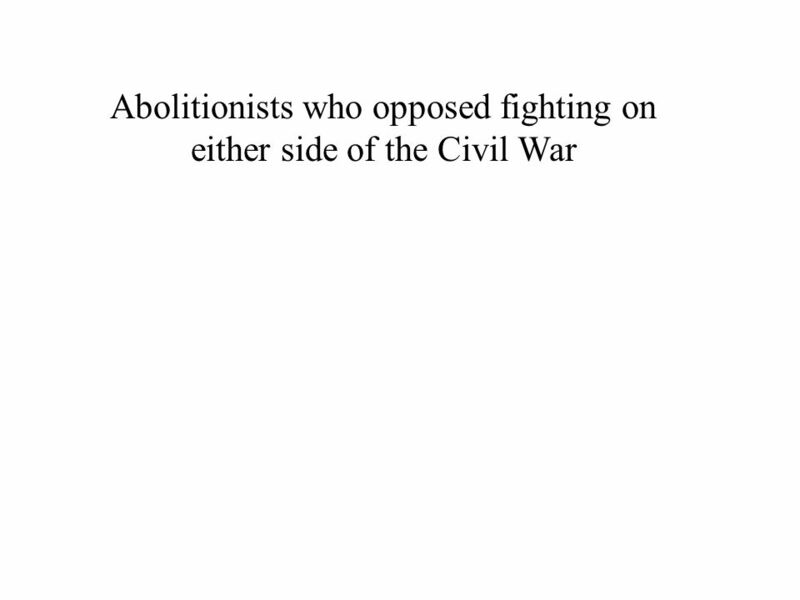 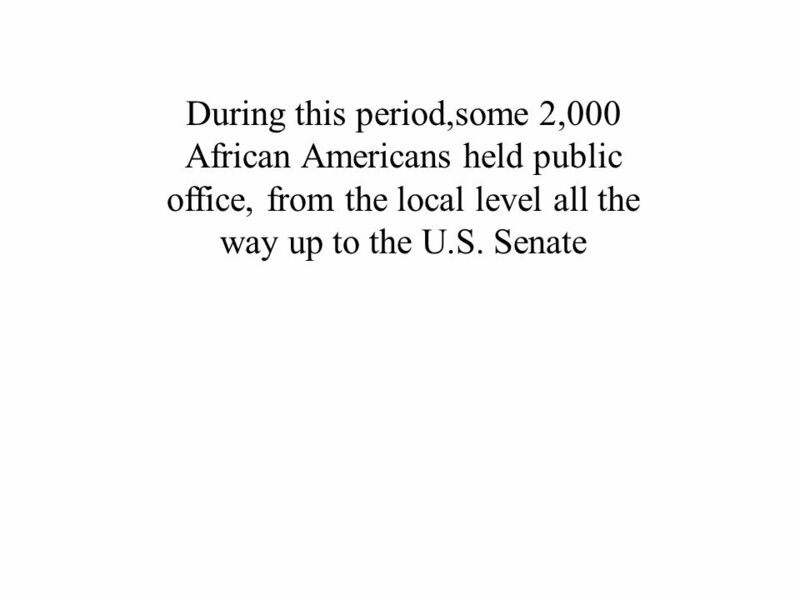 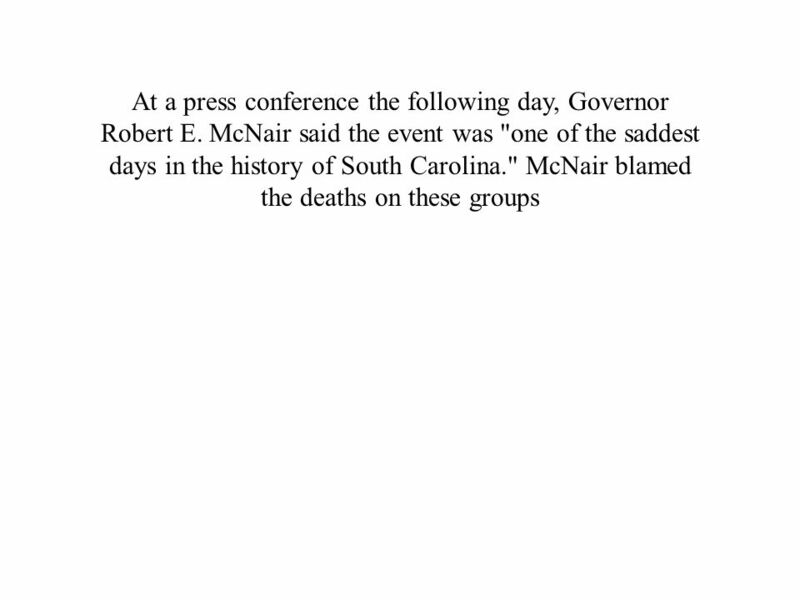 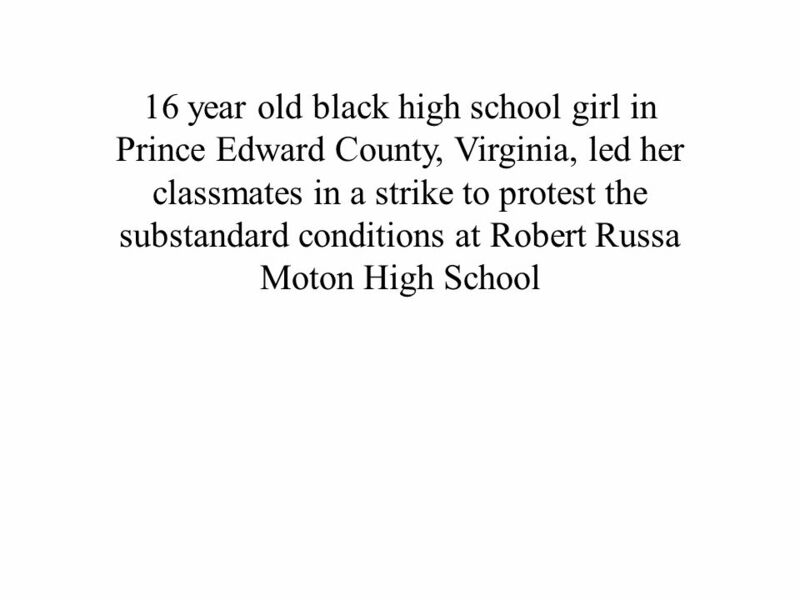 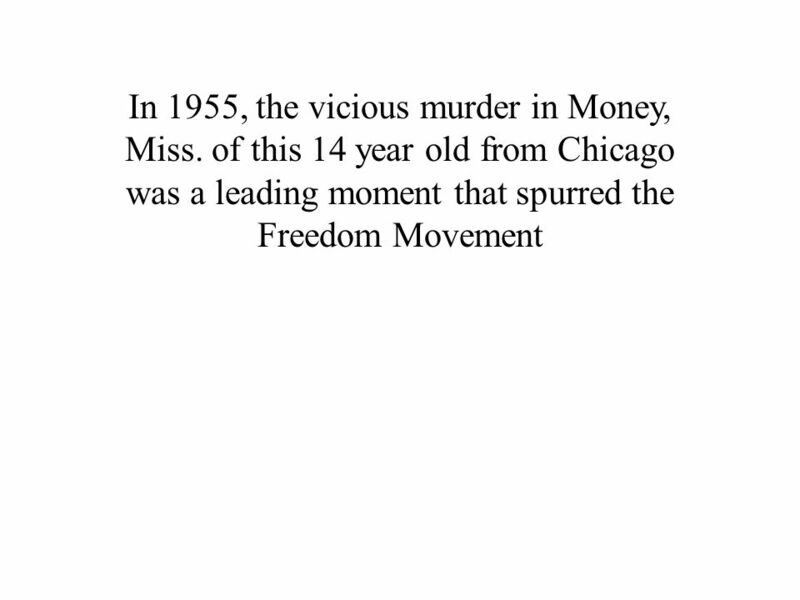 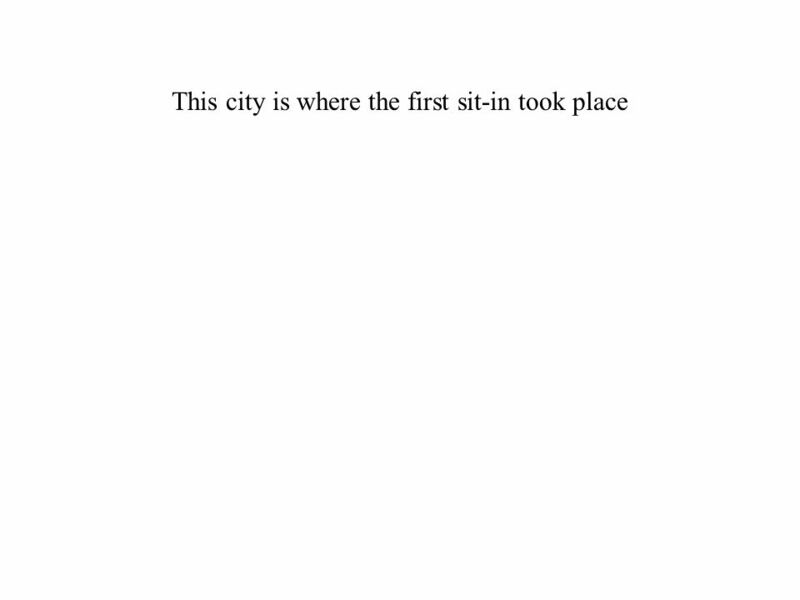 Chapter 21 The Civil Rights Movement ( ). 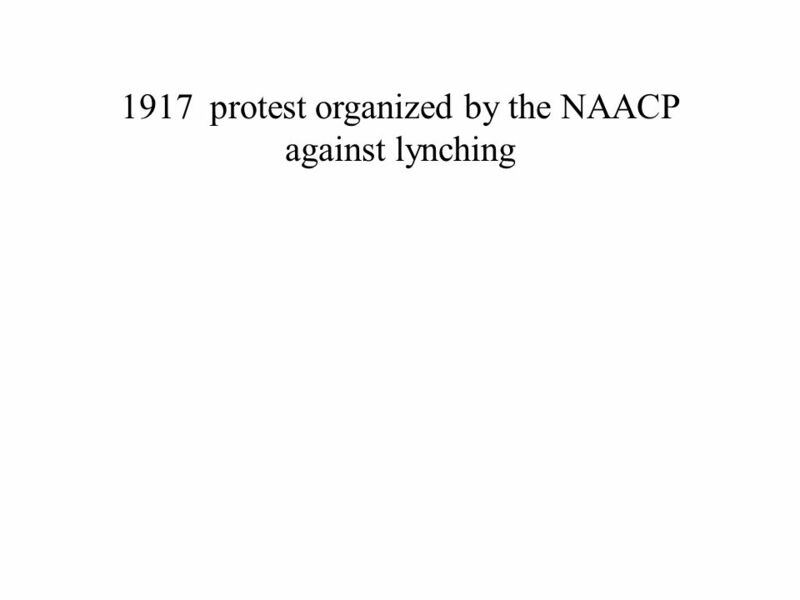 The Civil Rights Movement People of the Movement Events of the Movement Groups of the Movement Legislation of the Movement.